As a historian, Benj Edwards often writes about the past. In this episode, Benj delves firmly into the future as he chats with futurist and VR enthusiast Jesse Damiani, Editor-At-Large of VRScout, about the world of VR, AR, blockchain, and beyond — including the future of trust and the impact of having a permanent record of one’s actions, and more. It’s simultaneously scary, exciting, and enlightening. This interview took place November 2017. Hi there, folks. Long time, no see. I’ve been busy moving, among other things. Way back in November of last year, I did an interview with Jessse Damiani, whom I met during GDC 2017 at a Modal VR party in San Francisco (where I also finally met Nolan Bushnell in person). I’m guilty of holding Jesse’s interview back — he was second after Wozniak — for the sake of hearing some famous voices. But Jesse’s perspective is undeniably brilliant. He is one of the most intelligent people I’ve ever met. So I think you’ll really enjoy this episode where we talk about the future. Let me know what you think. Navigation is in Stan Honey’s blood. In the late 1970s and early 80s, Honey pioneered nautical navigation systems that led him to become a championship yacht navigator. 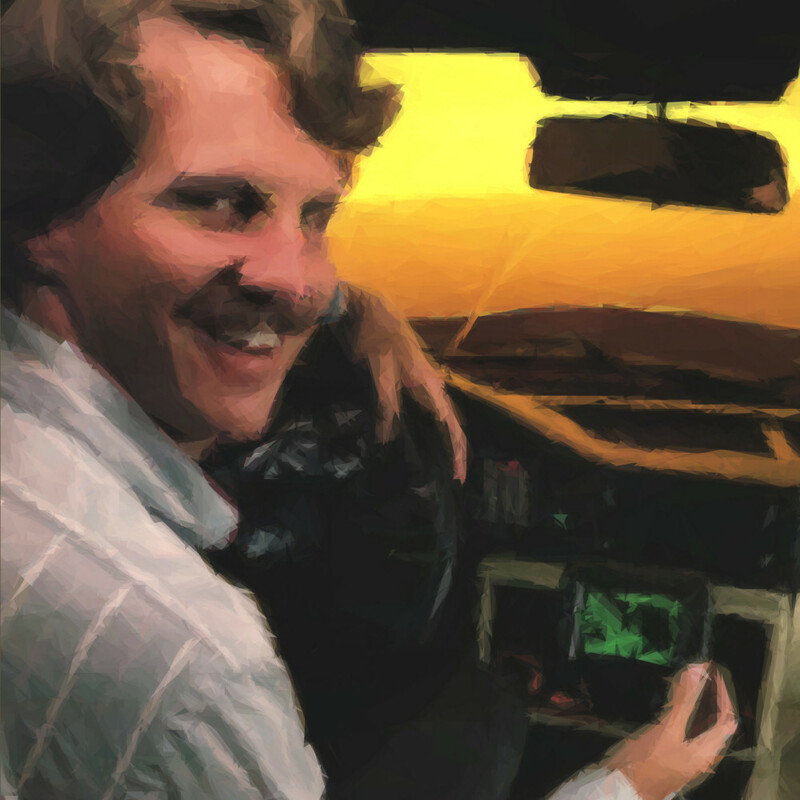 In the 1980s, he co-founded Etak, which created the world’s first computerized in-car navigation system — the ancestor of the GPS-based navigation systems we use today. And in the 1990s, he pioneered commercial applications of augmented reality by founding SportVision, which created real-time on-screen overlays for television sportscasts. 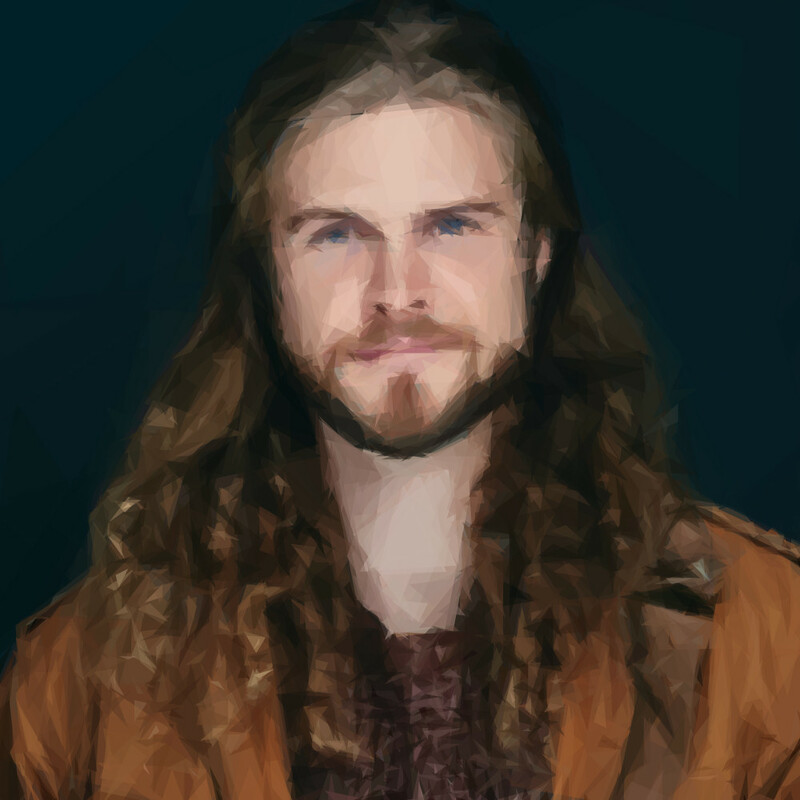 In this episode, Benj Edwards talks to Honey about these innovations and what it means if, as a species, we never have to get lost again. You’ll also hear two new songs from Benj Edwards about the topic at hand. Stan Honey is an absolute delight to talk to. He helped me quite a bit with an article I wrote about Etak for FastCompany back in 2015, which I mention several times in the podcast. I am particularly enamored with Honey’s combination of technical brilliance, knowledge of history and nautical lore, and his sportsmanship. He has been the navigator of 11 winning Transpac crews since 1979, including a group led by Atari’s Nolan Bushnell back in 1983. This background makes his technical innovations all the more fascinating — especially in light of how dependent we all are on software-based navigation today. 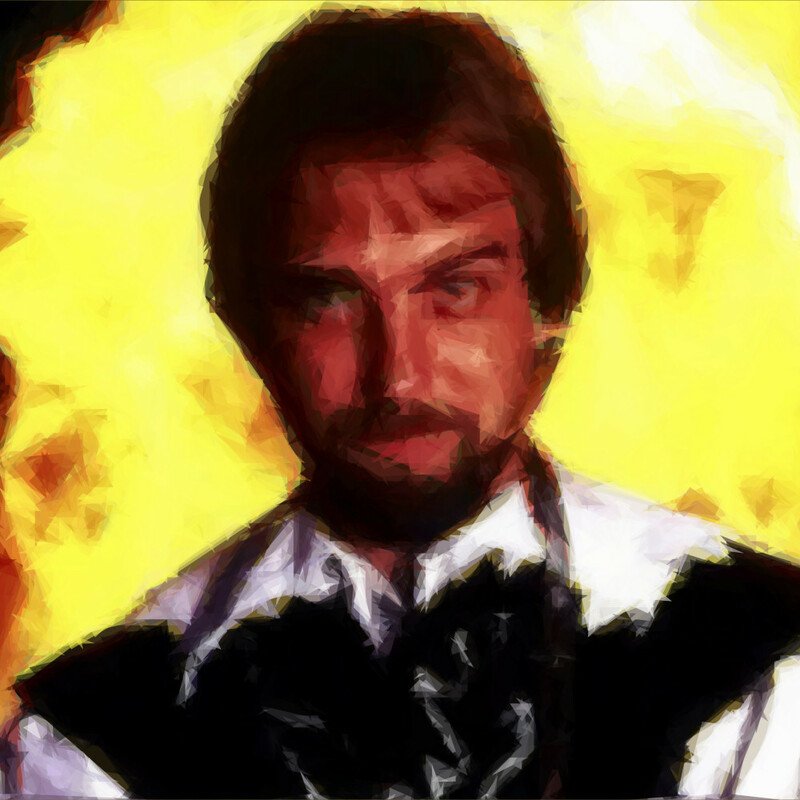 In the 1980s, Richard Garriott created a cultural innovation in computer games in Ultima IV by developing a system of secular virtues, which guided the main character beyond a wholesale slaughter of enemies and into an ethical dilemma of doing the right thing. I’ve been a fan of the Ultima series since 1987, when my dad bought us Ultima III for the Atari ST computer. After that, I continued my adventure with Ultima VI, VIII, IX, Ultima Online, and more, courtesy of the intellectual work of Richard Garriott. During this conversation, Richard Garriott (AKA Lord British) and I discuss ethics, morals, religion, current events, and some of the history of the seminal Ultima series of games. As I say in the podcast, I think technology without ethics is pointless. So I think we can learn a lot from the system developed by Richard over 30 years ago now. Hi everybody — Benj here. I’m still trying to work out the kinks of launching a new podcast and a website at the same time, so I hope you can bear with me as I sort things out. The design of the site will likely improve drastically over time. Our first show is here. 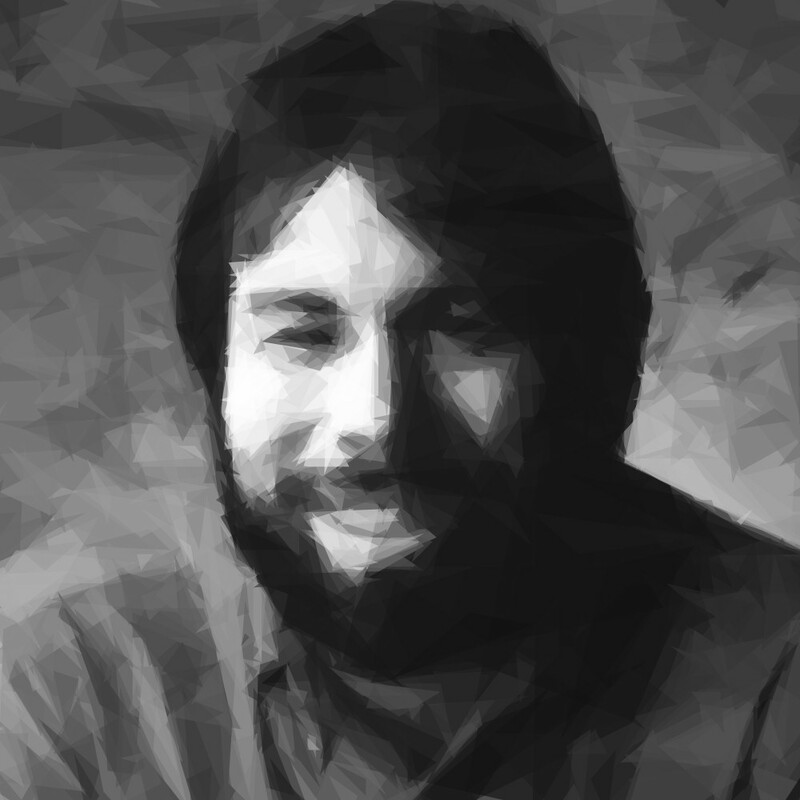 The guest is Steve Wozniak talking about Television. I thought it would be fun to pick a unifying topic and discuss it throughout his career. In this case, Woz’s love and knowledge of television both allowed him to design Apple’s first two signature products (the Apple I and Apple II), but also to later create a company called CL9 that pioneered universal remote controls with the CORE remote. Special thanks to Steve for doing this. I’ve also prepared original music for the show, as I intend it to be a venue for some of my musical adventures as well (There’s an original Steve Wozniak song near the end of this show, for example). Please let me know what you think. Hope you enjoy the show. 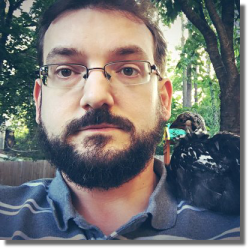 Benj Edwards is a freelance journalist and historian specializing in tech history. He has written for The Atlantic, FastCompany, PCWorld, PCMag, Macworld. and more. Benj is also the Editor-in-Chief of Vintage Computing and Gaming. 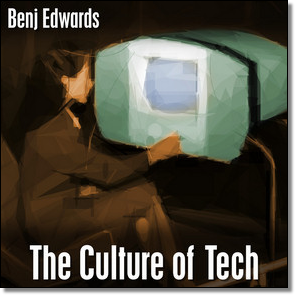 Tech historian and journalist Benj Edwards interviews tech luminaries, artists, and entertainers about the interplay between culture and technology, with a strong focus on both history and the future. Edwards provides an original custom soundtrack to each episode, including at least one full original song related to the topic of discussion.